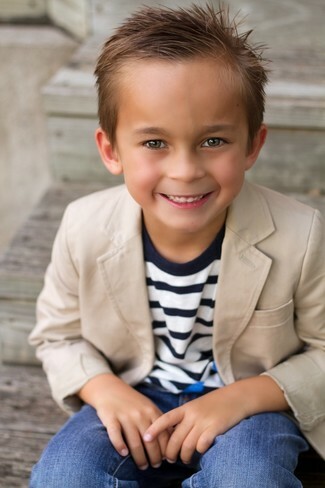 Suggest that your son dress in a beetle thread plaid dress shirt v neck sweater twill pant set and tan trousers to create a neat, stylish look. 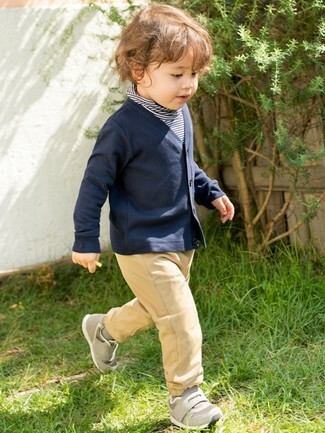 As far as footwear is concerned, let grey sneakers be your little guy's choice in the shoe department. 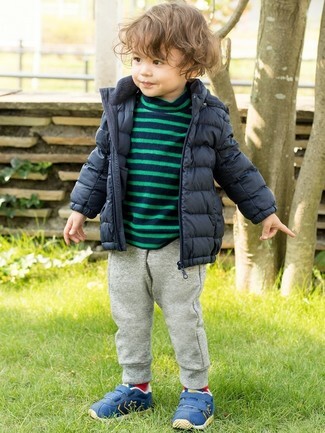 Suggest that your darling choose a beetle thread plaid dress shirt v neck sweater twill pant set and grey sweatpants for a fun day out at the playground. 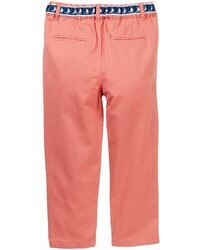 This look is complemented perfectly with blue sneakers. 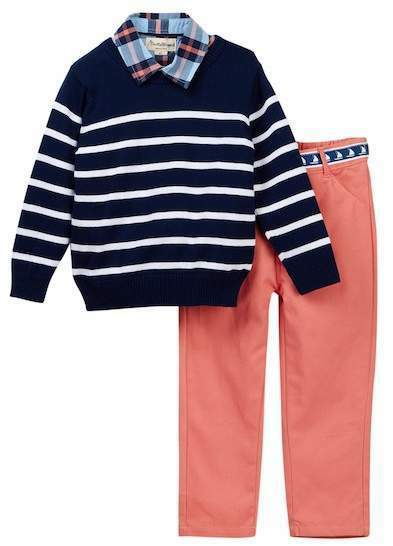 Suggest that your kid pair a beetle thread plaid dress shirt v neck sweater twill pant set with blue jeans for a fun day out at the playground.